No 5+ Earthquakes to Report Today. 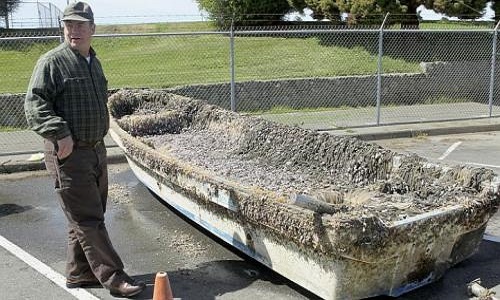 Japanese fishing boat washed by 2011 tsunami has been confirmed as the first piece of debris to reach the coast of California. The 20-foot boat is the first remnant from the disaster zone to reach the state. Tsunami boat belonging to the Takata High School in Rikuzentakata, in Iwate Prefecture of Japan reached Crescent City of California on April 7, 2013. 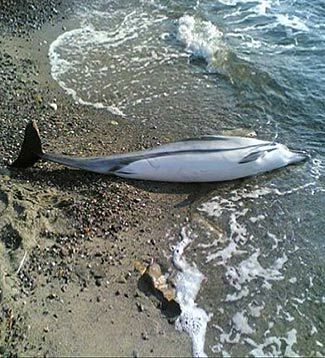 The National Oceanic and Atmospheric Administration, NOAA, and the Japanese Consulate in San Francisco confirmed this news. Seasonal flooding in Afghanistan’s Baghlan province kills a child and damages more than 50 houses. A landslide in Mawo Village near Bijie City of China has claimed the lives of at least three villagers. 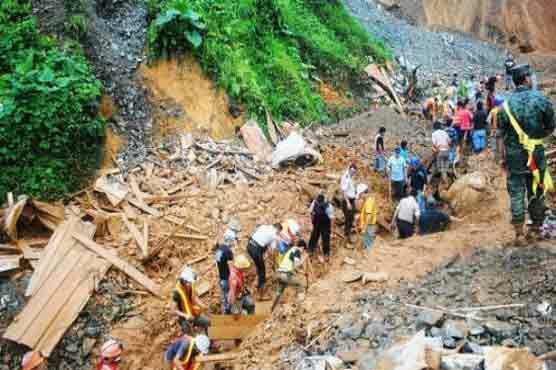 Eight villagers were buried in the landslide. Five people are still reported to be missing. Tornado in Bulacan region of Philippines has badly damaged several houses. No injury has been reported. Mudslide in Zojila, Kashmir along the Srinagar-Kargil Road has claimed the life of one person. The mudslide swept a Tata-Mobile vehicle carrying three people into a gorge. Zoji La is a high mountain pass in India. Floods in Trinidad & Tobago. Farmers in Plum Mitan are facing a period of hardship after losing their crops to floods following two days of heavy rain. The Government in the Marshall Islands has declared a drought emergency following a severe drought in the northern Marshall Islands. Wotje Atoll, the northern Marshall Islands region has experienced zero rainfall on several of the previous months. Etna (Sicily, Italy): Relatively intense strombolian activity and ash emissions continue at the New SE crater. INGV tremor data seems currently not to be available to see whether this is rising or not, and might be the beginning of another paroxysm. A steam and ash plume is rising about 1 km above the volcano. Popocatépetl (Central Mexico): Activity is on the increase again at the volcano, which currently is producing a strong steam plume illuminated by the glowing lava in the summit crater. This rise in activity was preceded by a moderate explosion late on 24 April (which could not be observed due to cloud cover) and during yesterday, the rate of small to moderate emissions of gas-steam-ash rose to about two per hour. Yesterday’s 5.7 Earthquake in Jalalabad, Afghanistan has claimed the lives of at least 23 people and injured dozens. Heavy rainfall caused landslide in Ecuador which has buried at least 14 people. The landslide occurred in Tabete in the Chinca district of Esmeraldas, a coastal province in Ecuador. Flood waters of the Mississippi River peak at more than 11 feet. Fargo, North Dakota, is also preparing for flooding. 16 Tornadoes Tallied So Far This Year In Mississippi. The number of tornadoes confirmed to have struck parts of Mississippi so far this year has risen to 16. The National Weather Service reported Monday (April 22) that three tornadoes were confirmed from severe storms last Thursday in the Mississippi Delta region. 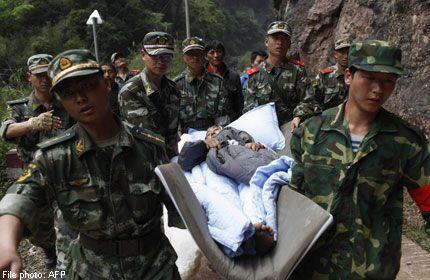 A landslide in Guizhou province in China has claimed the lives of nine people. At least two people are still missing. 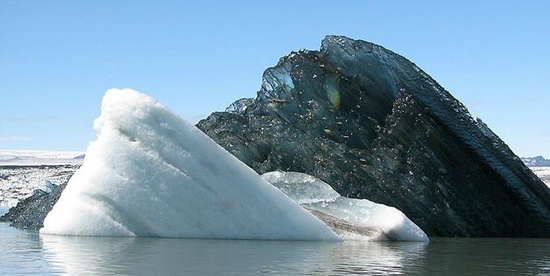 Around 10,000 cubic meters of rock debris buried the workers. Rescue work is under way.